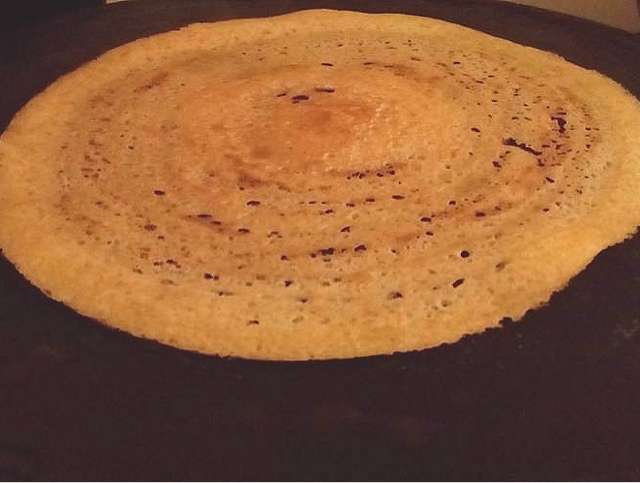 Initially I used this recipe only for making quick dosas without soaking and grinding as it is very convenient and also when travelling out of homes this recipe is useful as we can carry the flours with us and make dosas in our temporary residences like motels or extended stays in hotels. This recipe is a great life saver for the people who are constantly travelling and for students out of homes. All you need t carry is idli stand plates and a rice cooker which will help to steam cook idlis and a tava to make dosas out of the same batter. Yes you heard me right!! This is an awesome recipe to make both dosas and idlis at the same time.So when you travel carry sufficient flours and measure out required quantity, make a batter, leave to ferment overnight. My greatest bane is I tend to forget soaking dals and rice for making dosa for breakfast or for the day, on several such occasion remember my mom who had many such easy methods of mixing rice and udad dal flour and leaving it overnight to ferment. The next day we wouldn’t see any difference , as the dosa structure was the same .The Idlis as you can see from the pics were so good and I never missed soaking grinding method. salt as required to be added after batter ferments. 1 tbsp curd ( optional ), helps in fermentation. Take a large vessel, add the flours,fenugreek seed powder, mix well. Add little water in small cups and keep whisking the batter to remove lumps if any. Start mixing with hand as I believe this gives good fermentation too. Add water till you get good thick smooth batter . Add in small tbsp at a time . Add water to make a thick batter as we do while grinding normal Idli / dosa batter batter. Add the curd too. Curd is optional as I have also done this earlier without curd. 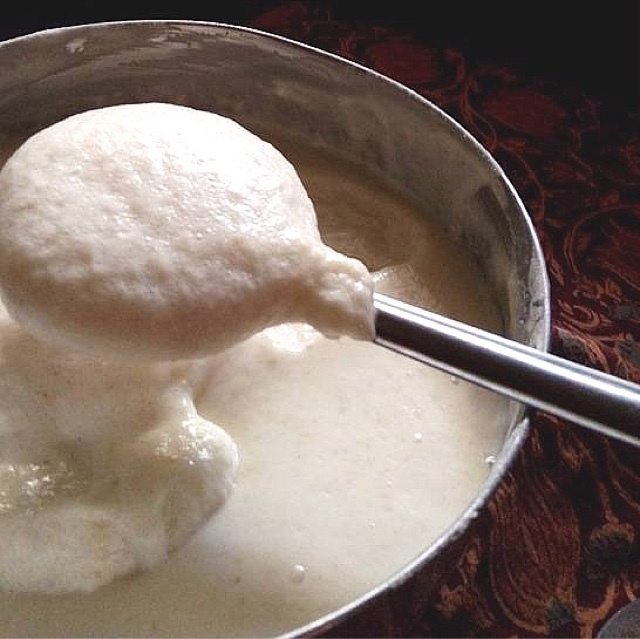 In the video , no curd was used . Cover and leave to ferment in a spot where you normally leave dosa batter for overnight fermentation. This may require 8-10 hrs of fermentation depending on the climate, temperature . People in colder regions allow to ferment the way you normally do In a warm place or oven with lights on etc .But this batter will not exactly double in volume like ground dosa batter, but will definitely rise see the pics below ., so if you notice after 8 -10 hrs the batter has bubbles, and when mixed with a spatula, it will appear foamy and light that is enough to make dosas and idlis immediately after adding salt . If you plan to make idlis too with this batter then don’t dilute, save some batter for idlis and dilute rest for making dosas .Add little water to batter now to get a dosa pouring consistency. The batter shouldn’t be runny too. You can add 1 tbsp rice flour for making extra crisp paper dosa . Prepare dosas the normal way by heating a griddle well, smearing with an oiled onion all over to get a nice aroma and grease the griddle well. 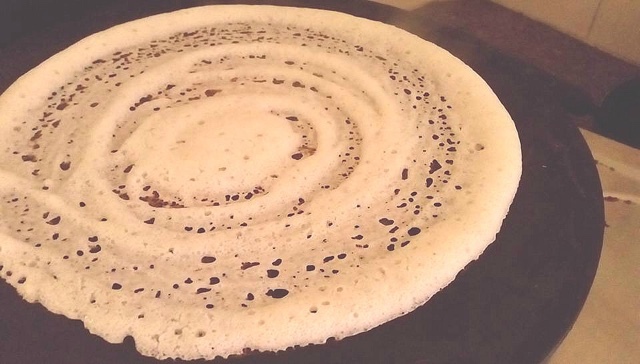 Splash drops of water all over and make dosa by pouring batter in centre and making quick circles. Flame to be in medium hot initially and dont lower it..Put drops of oil along the edges to get a crispy end. The dosa will get a nice brownish colour. Serve it with chutneys, molga podis, or sambar. 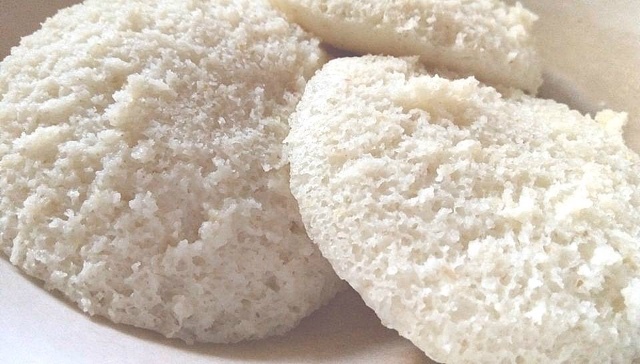 1. adding fenugreek seed powder is optional , adding it will give good idlis too . Pic below shows how well the batter fermented and this one without adding curd ! I knew by looking at batter that I would get good soft idlis too! The batter must fall like a thick foamy ball which is proof that you will get good dosas and idlis and batter is fermented just right . Avoid keeping out anymore as too much fermentation will not give tasty results . Don’t allow batter to over flow . It should rise like a mound just like cake , anything above that spilling out of vessel means short life of batter and quick sourness . previously saved dosa batter ( ground batter shouldnt be too sour ) around 3 tbsp for aiding fermentation of this flour dosa batter. 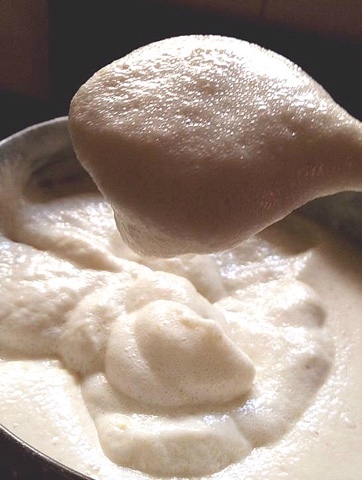 Batter after fermentation will look like this.. 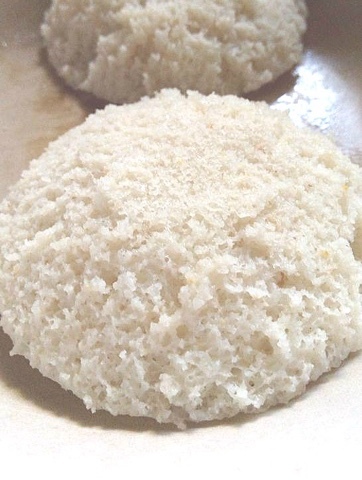 The collage pics shows clearly the consistency of the fermented batter to make super soft idlis.Note when the batter is placed on a plate, it stays like a foamy ball and not run away…. Make dosas and idlis with same batter ..( note batter has no besan flour ) . Double bonanza ! See the underside with all those soft crumb like holes .. Idlis don’t get dry too even after some hours . Take a closer look ! 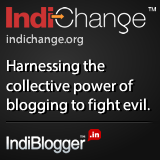 So don’t think you need a blender or mixie or grinder to make yummy dosas and idlis ! Get cracking and start experimenting ! Woww! im going to try this!! Awesome recipe! Even I do the same sometime and that dosA comes out really very crips and delicious..by our dosa looks the same.. I also forget to soak many times.. thats when these kind of instant dosas comes out to be helpful.. crispy and delicious dosas..
yummy & crispy dosa!! love the instant version!! Ah I know what you mean, I always forget to soak my daal too. ^.^ Your dosa looks quite appetizing, I wouldn't mind it for breakfast tomorrow. Keeping daal and rice to soak over night so that they ferment? Sounds interesting. Gr8 recipe! Tnx for the post!! Thanks a lot Devi . Glad you liked it . How much water we needed? I always use much water, still couldn't get the right consistency. Can you please tell me that how many cups of water we needed to make the batter?